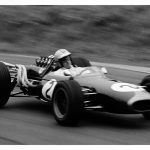 Sunday 22 October marks the 50th anniversary of Kiwi racing legend Denny Hulme winning the 1967 Formula 1 World Championship in Mexico. Hulme made history as the first – and only – New Zealander to have ever won the most prestigious motor racing championship in the world. The significance of the date gains added impetus this year as another New..